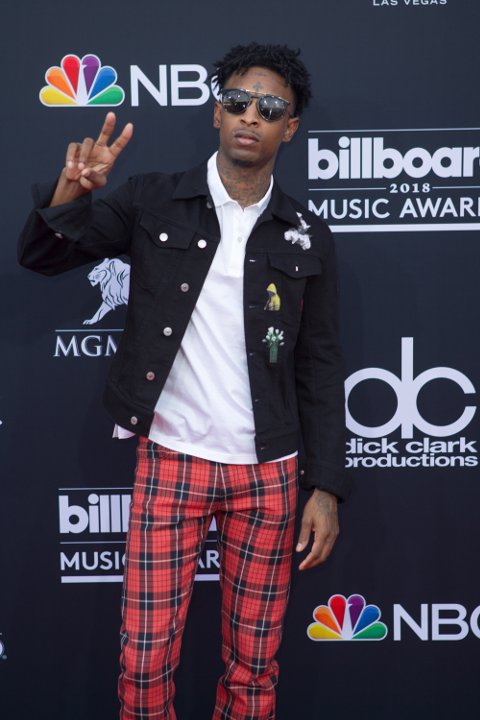 Rapper 21 Savage is behind bars after he was arrested in Atlanta by US Immigration and Customs Enforcement officials yesterday. They claim 21 Savage - real name Shayaabin Abraham-Joseph - is in the United States illegally and he's a convicted felon. The news comes as a shock because everyone thought he was from Atlanta. An ICE official told a CNN reporter, "His whole public persona is false. He actually came to the U.S. from the U.K. as a teen and overstayed his visa." ICE claims the 26-year-old rapper is a citizen of the United Kingdom. The agency alleges that he entered the US legally in July 2005, when he was a minor, but subsequently failed to depart under the terms of his nonimmigrant visa, according to CNN. ICE says the "No Heart" rapper became unlawfully present when his visa expired in July 2006. "Mr. Abraham-Joseph is presently in ICE custody in Georgia and has been placed into removal proceedings before the federal immigration courts," ICE said in a statement. "ICE will now await the outcome of his case before a federal immigration judge to determine future actions." 21's attorney released a statement saying they are working hard to get him released. "We are working diligently to get Mr. Abraham-Joseph out of detention while we work with the authorities to clear up any misunderstandings," Dina LaPolt said in a statement to CNN. "Mr. Abraham-Joseph is a role model to the young people in this country, especially in Atlanta, Georgia, and is actively working in the community leading programs to help underprivileged youths in financial literacy." The Saint Laurent Don- who has been nominated for two Grammys this year - was allegedly in a car with another Hip-Hop artist and two other men who were arrested by local police on separate charges after a gun and drugs were discovered. Yikes. Cox said Abraham-Joseph is an “unlawfully present United Kingdom national” who legally entered the U.S. in July 2005 on a visa. His visa expired a year later, Cox said. He was also convicted of felony drug charges in 2014 in Fulton County. Right now, it's unclear what United Kingdom country/territory he's from. There are reports that say he's from the Caribbean island of Dominica. #TBT Fambly!!! NartWess Man Dem. My baby boy @k.b.15 at the front and Lil Man @21savage by my side Kaboom!!! We have 21 questions for 21 Savage. 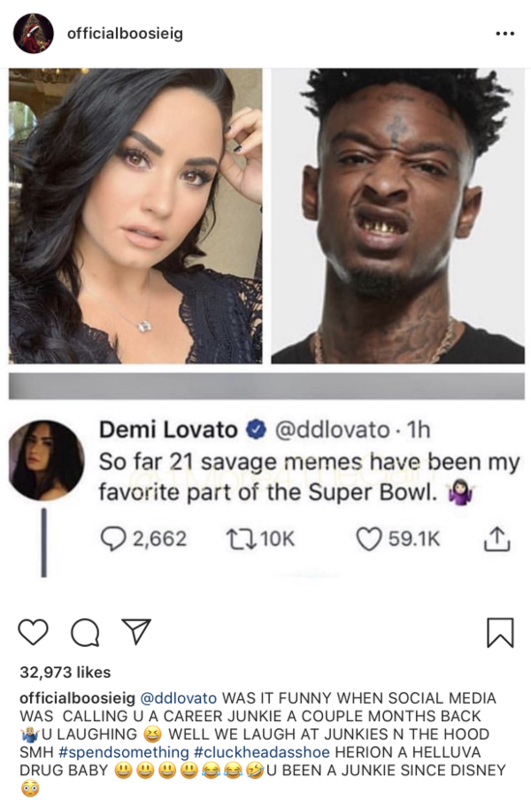 Rapper Boosie popped off on singer Demi Lovato for making fun on 21's arrest. Yikes.